Description: The Ground Wede Aba is also known under these names: African Nutmeg, Efuru, Pebe. Wede Aba or Calabash nutmeg tree grows naturally in evergreen forests from Liberia to Nigeria and Cameroon, Ghana, Angola and also Uganda and West Kenya. 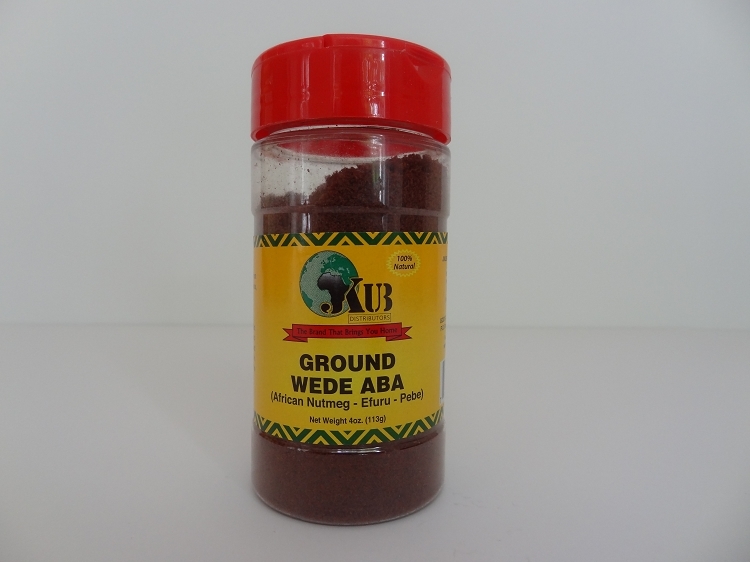 The odor Wede Aba seed is similar to nutmeg and it is used as popular spice or spices mix in the West African cuisine. The fruits are collected from wild trees and the seeds are dried and sold whole or ground to be used in stews, soups, cakes and desserts. The seeds are also made into necklaces.